My interest in the legal profession could probably be traced all the way back to an early age in my childhood. As someone who was born and raised in New York City, I learned early on the value of helping those in need, especially within your own community. When it came time for college, I knew I wanted to see the world beyond my own neighborhood, so I decided to leave the state entirely and attend the University of Denver in Colorado. After my sophomore year, I decided to transfer to the University of Colorado in Boulder as I began to focus on earning a B.A. in Philosophy. When I graduated in 1982, I was weighing several different options, including the idea of attending law school. I decided to spend a year working as a writer for RWA Inc. back home in New York, but I soon found myself longing for the natural beauty of the Colorado Mountains. After some careful consideration, I decided to apply for law school and was excited to be accepted into the University of Colorado School of Law in Boulder. While attending law school at the University of Denver, I worked as both a research and technical editor, as well as an articles editor for the Denver University Law Review. While working at the Law Review, I had the privilege of writing and publishing an article titled “Evolving Standards of Duty of Fair Representation Cases Under Section 301.” After three years of juggling my studies and my work for the Law Review, I was able to graduate from the University of Denver with my Juris Doctor in 1986. I love what I do because it allows me to help good people by guiding them through the legal system. After graduation, I immediately began my career as an attorney by working for the Colorado State Public Defender's office — a position that I held for over 5 years. During my time there, I worked in the State Appellate Office, as well as the Jefferson County Trial Office, picking up valuable knowledge and experience in the courtroom. By 1992, I was eventually recruited to work as an associate attorney for Chalat & Company, a local firm in Boulder. After a year with Chalat & Company, I quickly realized that in order to provide the highest level of service to my clients, I needed to open my own firm so I could focus 100% of my time and attention on the individual needs of my clients. So, in 1994, I decided to go out on my own and start my own practice. Armed with my passion and determination to establish my own firm that could stand as a trusted source of reliable legal counsel and strong representation, I opened the doors to The Law Offices of Jonathan S. Willett, LLC in 1994. With a license to practice in both state and federal courts across Colorado, as well as the U.S. Court of Appeals for the Tenth Circuit and the U.S. Supreme Court, I've spent the last 25 years helping clients in Boulder, Denver, and the surrounding metro areas on a variety of different legal issues. From criminal defense and personal injury casework to complex civil litigation cases, I've helped countless clients by providing the highest level of legal counsel through aggressive representation and creative legal solutions. 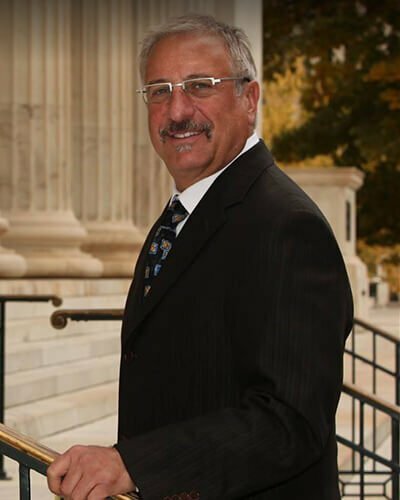 During my 33 years of practicing law, some of my highlights include serving as an expert witness in criminal trial practice, juvenile delinquency, and appellate criminal practice throughout various courts in Colorado, as well as assisting and representing multiple defendants in cases that sought the death penalty against my clients. Overall, I've tried over 70 cases and pursued over 125 appeals over three decades of work. In my spare time, I enjoy spending time with my children, as well as a variety of different hobbies including skiing, cycling, and frisbee.